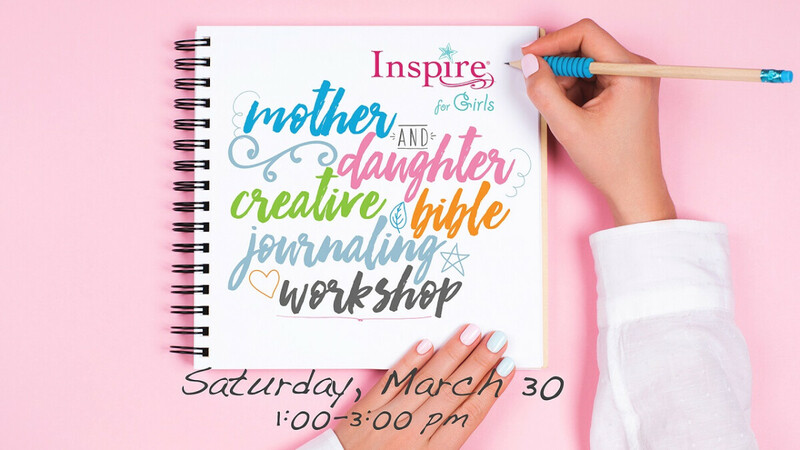 Spend the afternoon with your daughter (or granddaughter or another young lady in your life) during this opportunity to explore God’s Word creatively and experience a fresh approach to Bible reading. Amber Bolton will guide participants through hands-on activities to inspire creativity in their daily walk with the Lord. This workshop is designed to focus hearts on Christ as participants learn to color, paint, draw, and letter their way through God’s Word. Event is in Room M105. Cost per person includes a workbook and use of supplies at the event. Appropriate for ages 7 to 97.